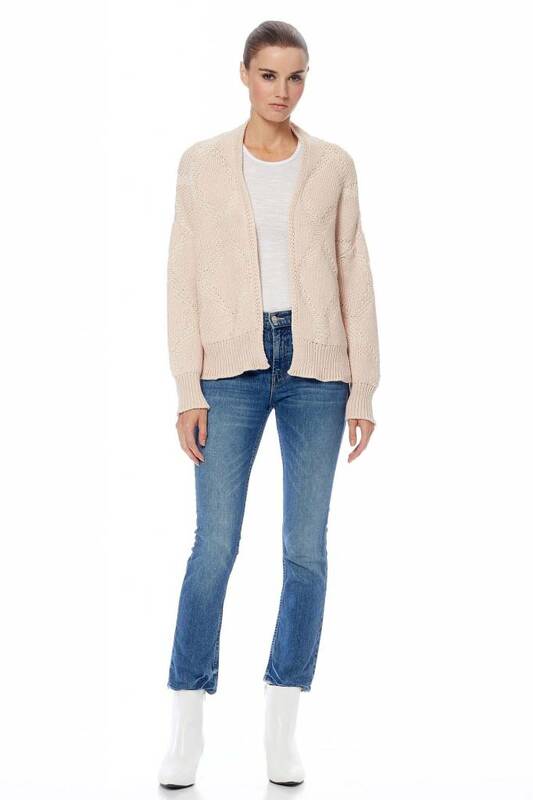 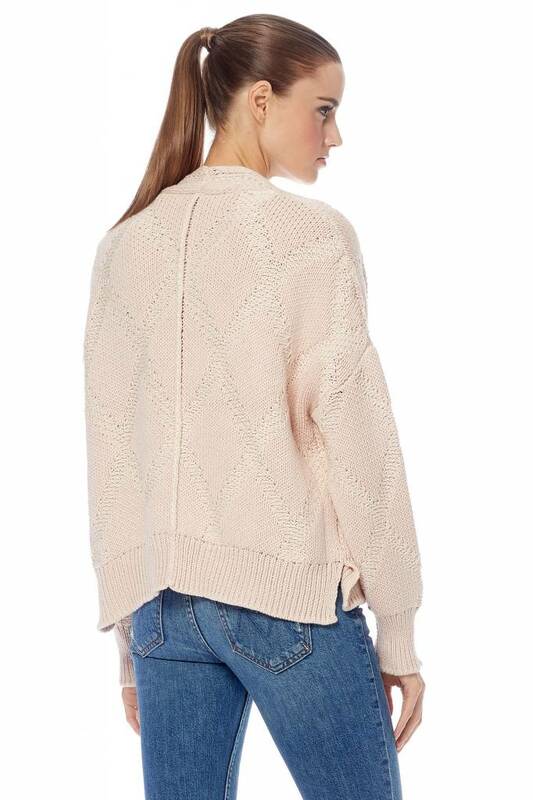 We are obsessed with this pale pink and cream contrast knit. 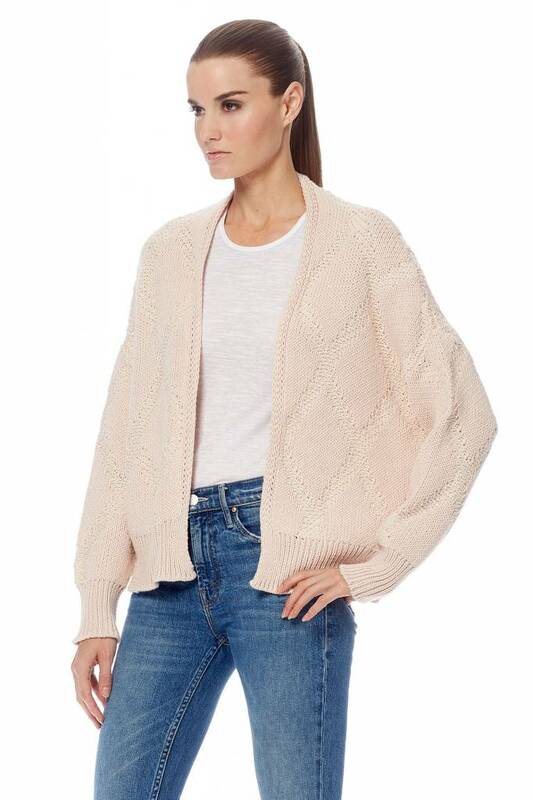 It is a thick cotton with a great weight. 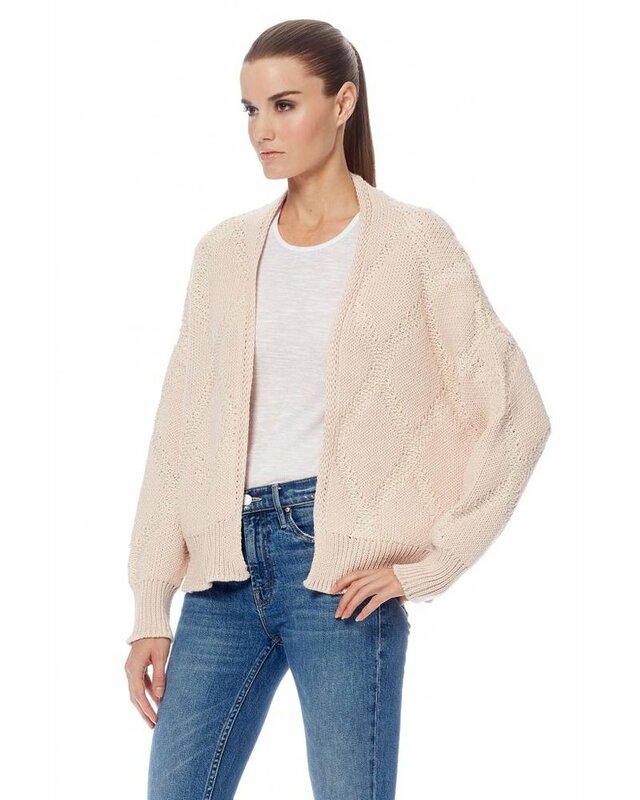 It is your classic take on a varsity open cardigan!